To qualitatively and quantitatively characterize a low molecular weight phenolic fraction (LMF) of Malbec wine from Cafayate, Argentina, and evaluate its effect on viability and exopolysaccharide production of Pediococcus pentosaceus 12p, a wine spoilage bacterium. The phenolic compounds detected were, in general, comparable to data previously reported but hydroxycinnamic acids were detected at higher concentrations than determined in other studies. Addition of LMF at identical concentrations present in wine or a four times concentrated LMF mixture to a synthetic wine-like medium produced a diminution in bacterial viability and exopolysaccharide production in the supernatant culture. Transmission electron microscopy revealed damage of bacterial cell integrity after 96 h of incubation only in the presence of four times concentrated LMF. This is the first time a low molecular weight phenolic fraction has been characterized in Cafayate wine and it has demonstrated a marked antimicrobial effect on an exopolysaccharide-producing wine spoilage bacterium. 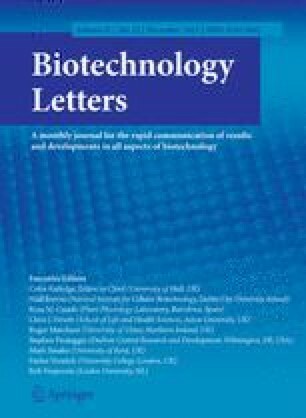 The authors wish to thank the Agencia Nacional de Promoción Científica y Técnica (ANPCYT) and Consejo Nacional de Investigaciones Científicas y Técnicas (CONICET).